Most people only shop for groceries once a week. Unfortunately, studies show that due to spoilage, Americans end up throwing away about a quarter of the fresh produce they buy. Effectively managing the fresh fruit and vegetables you buy and planning when to eat the produce can reduce that amount of waste and ensure you are getting your daily servings of fresh SuperFoods. Choose fresh produce that is not over-ripe. It’s okay to ask the produce manager at your supermarket when a particular fruit and vegetable was delivered and put out for sale. If you are not sure whether the produce is good, ask someone for help. Identifying ripe and fresh produce does take some expertise, but employees are usually willing to share their knowledge. Fruits and vegetables grown by local farmers will tend to be fresher than produce shipped long distances. You could try and schedule your weekly grocery trip around a stop at the local farmer’s market. Check your local newspaper for dates and times. Choose produce that’s in season. Seasonal fruits and vegetables will be more flavorful and tend to stay fresher longer. Apples—Don’t remove stems or stickers until you are ready to wash and eat. Apricots—To ripen apricots, place the apricots in a paper bag at room temperature. Refrigerate once they are ripe. Asparagus—Wrap stem ends in moist paper towels in an open plastic bag or stand the stalks upright with the cut stems in water in a plastic bag. Do not seal the bag, because the tips need to breathe. Ripe Bananas—Cool temperatures will darken the skin over time without affecting the fruit. Berries (Blueberries, Strawberries, Raspberries, Cranberries, Blackberries)—In an uncovered container. Corn—Can be loose if still in the husk, or in plastic bag if the husk is removed. Cucumbers—Unwaxed cucumbers don’t last as long as waxed cucumbers. Ripe kiwi—Keep in a plastic bag to maintain moisture. Mushrooms—Kept in closed plastic bag or covered with moist paper towel. Peppers—Keep in closed plastic bag. Since red peppers are more mature, they only last 3-4 days. Green peppers will last for about a week. Squash—Summer squash should be kept in the refrigerator, while the hard autumn/winter squashes can be kept on the counter. Unripe Bananas—To ripen quickly, put the unripe bananas in closed plastic bag in a warmer spot (top of the fridge) until ripe. Whole Pineapple—Cut pineapple should go in the refrigerator in a sealed container. 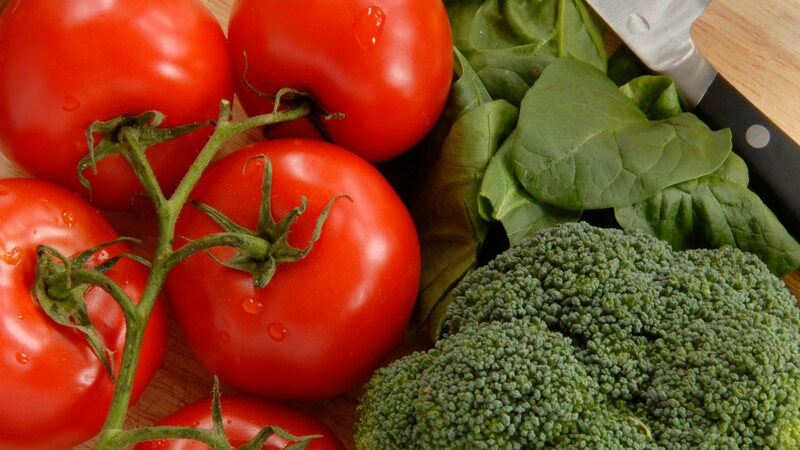 Tomatoes—Can be put in the refrigerator once ripe, but refrigeration lowers nutritional value. Jicama—Can also be kept loose in the refrigerator. NOTE: Keep potatoes, onions, and garlic separate because they will spoil faster when mixed. Always remove any spoiled produce as soon as you notice it; it can damage other fruits and vegetables. See why here.